It seems strange that sixty years after his death, the figure of Stalin - or his corpse - still attract. 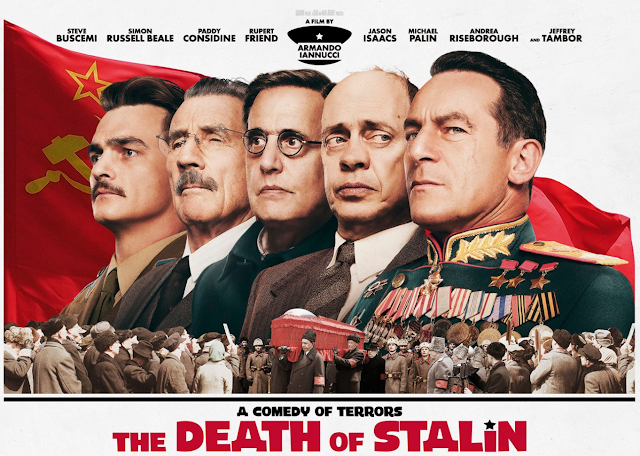 This one has the attraction of opening us to an unprecedented moment in the western filmography: everything that happened immediately after the death of Stalin, between the fact that the corpse was still hot and that it was being resolved inside the Kremlin who would be its successor. And there were several possibilities. In this film, Armando Iannucci, once again shows his qualities for political satire. There have been several films that have dealt with the figure of Stalin. We have even seen Robert Duvall, in 1992, transvestite of an incredible Stalin, or television series such as Apocalypse Stalin who have tried to trace with documentary format the trajectory of what was proven official of the Communist Party, leader of his people in the "Great patriotic war" and, finally, a dictator predisposed to paranoia in his last ten years of life. Among other things, Stalin had a certain phobia - as shown in this tape - to the doctors, especially to the Jewish doctors he had sent to the GULAG. He even feared being killed by them. So at the time of his death, he did not enjoy precisely an enviable physical state. In addition, for almost forty years he had drunk a bottle of vodka a day. His name "Stalin", in Russian, means "steel". But his liver, of course, was not. Even 75 years seem like a lot to those who for thirty years had led the Soviet Union with a firm hand. The problem was that Stalin lacked critical voices in his environment. All those around him since the early 1930s were simply mediocre people who lived under his splinter and who aspired to succeed him. Some were downright ridiculous - Lavrenti Beria, played in The Death of Stalin by Simon Russell - but no less bloodthirsty, others were mere gray bureaucrats without relevance as Georgy Malenkov (played by Jeffrey Tambor), eternal protected by Stalin (case of Vycheslav Molotov, role assumed in the film by Michael Palin), energetic but coarse military like Kikita Sergievicht Krushchev (Steve Buscemi) or energetic and ultra-pluri-decorated as Georgy Zhukov (Jason Isaacs). Yes, while Stalin lived all lived in apparent harmony eating the crusts that he threw from his table, to miss the "little father", that became a real vaudeville of elbow blows, low blows, initiatives of one or the other, that finally , it was resolved in a first time in favor of the gray Malenkov and, after its transition stage, in favor of Krushchev. This film tells us all the particulars of the days in which Stalin died, and how were his state funerals. 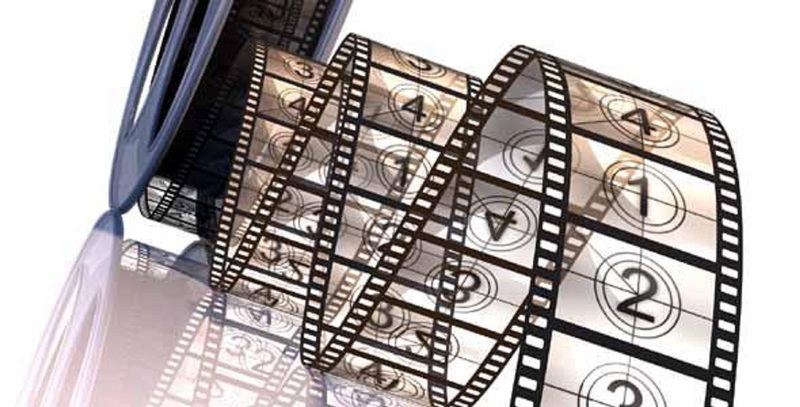 The film liked the criticism and was criticized by Russia as the "provocation" tacho. Its premiere has been, of course, inconvenient because it precedes in a few weeks the presidential elections of March 18 in which Vladimir Putin will seek re-election. Far are the times in which Stalin was considered a "bloodthirsty dictator" (from the time of "de-Stalinization" operated precisely by Krushchev). Its image tends to improve, while, in parallel, in the West, its opponents during the Cold War (Roosevelt and especially Churchill) are resized to the figure of villains. The truth is that the film has been banned in Soviet territory and not as censorship, but for being partial and mocking the Soviet past of the country. Or, at least, that is what the minister of culture of that country has declared. Certainly, the film has a few historical elements (the fact that at the funeral of Stalin died an unknown number of people, although in the film it is considered that these deaths were due to the power struggles of the different exponents of the Bolshevik leadership , when in reality, they were the product of popular hysteria for the disappearance of the "little father" and the feeling of helplessness in the face of the danger of a nuclear war. So, it is true that, as far as the historical fidelity of the tape is concerned, it is minimal. The director himself has had to recognize that the dialogues are invented and that his dimension of comedy has been prioritized, much more than the historical rigor. This is not new in the career of Armando Iannucci who already showed his talents to take advantage of certain historical conjunctures to divert them and turn them into comedies. So he did in In the Loop, tried again with worse fortune in the TV series Veep and now has tried again, without having completely accompanied by luck. First, the characterizations are almost ridiculous. They have absolutely nothing to see, not even remotely with the physical characteristics of the characters. Buscemi, despite his qualities, can not forget Bob Hoskins' interpretation of the same character, Nikita Krushchev, in Enemy on the Doors (2001). Perhaps the one who is more in his role Jeffrey Tambor in his role as Malenkov, perhaps because it appears little in the plot. It is also easy to recognize Rupert Friend (Homeland), as Stalin's son. If what was involved in this film was to make people laugh, the chosen theme, a death, the incidents that took place at funerals and the struggle for power, the theme is too sinister and sordid to be the most appropriate (perhaps it would have been more interesting to focus on the episode in which Khrushchev hit the table of the United Nations with his shoe, or on the bottles of vodka that Stalin gave to Churchill (a fashionable character in the process of film demystification in recent years) at the beginning the Yalta Conference that decided the destiny of Europe and that had a British premier practically out of play in the meetings (the other interlocutor was Roosevelt, an old man who had only a few weeks to live and did not know much about it). But the death of Stalin, especially the pain that caused the death (by stampede) of a high number of people (perhaps several hundred), does not seem the best place of reference for a comedy. In addition, the film is inopportune: it appears at a time when it seems that the Cold War that overshadowed Europe between 1948 and 1989, returns again to plan, especially in the wake of the disagreements between Russia and the US in the Middle East. Now, when it comes to establishing links and bridges, especially between Europe and Russia, now, precisely, this European production appears that tends to the opposite. The movie has varying moments and qualities. The picture of actors is, of course, unsurpassed, although none of them has the slightest resemblance to the characters they embody. The dialogues are caustic, with some turns that, effectively, manage to take us to the smile. The worst of the movie? The trap he poses to us: it's not history, it's cinema. That is, fiction. The historical base is reduced - it is worth not forgetting - to the minimum expression. Parece raro que a sesenta años de su muerte, la figura de Stalin –o su cadáver- atraigan todavía. Ésta, tiene el atractivo de abrirnos a un momento inédito en la filmografía occidental: todo lo que ocurrió inmediatamente después del fallecimiento de Stalin, entre que el cadáver estaba aún caliente y que se dirimía intramuros del Kremlin quién sería su sucesor. Y habían varias posibilidades. En esta cinta, Armando Iannucci, vuelve a mostrar de nuevo sus cualidades para la sátira política. Han sido varias películas las que han tratado la figura de Stalin. Hemos llegado a ver incluso a Robert Duvall, en 1992, travestido de un increíble Stalin, o series de televisión como Apocalipsis Stalin que han intentado trazar con formato de documental la trayectoria del que fuera probo funcionario del Partido Comunista, líder de su pueblo en la “gran guerra patriótica” y, finalmente, dictador predispuesto a la paranoia en sus últimos diez años de vida. Entre otras cosas, Stalin, tenía cierta fobia –tal como se muestra en esta cinta- a los médicos, especialmente a los facultativos judíos que había enviado al GULAG. Temió incluso ser asesinado por ellos. Así que en el momento de su muerte, no gozaba precisamente de un estado físico envidiable. Además, durante casi cuarenta años había bebido una botella de vodka al día. Su nombre “Stalin”, en ruso, significa “acero”. Pero su hígado, desde luego, no lo era. Incluso 75 años parecen muchos para quien durante treinta años había dirigido con mano firme a la Unión Soviética. El problema fue que, Stalin carecía en su entorno de voces críticas. Todos los que le rodeaban desde principios de los años 30, eran simplemente personajes mediocres que vivían bajo su férula y que aspiraban a sucederle. 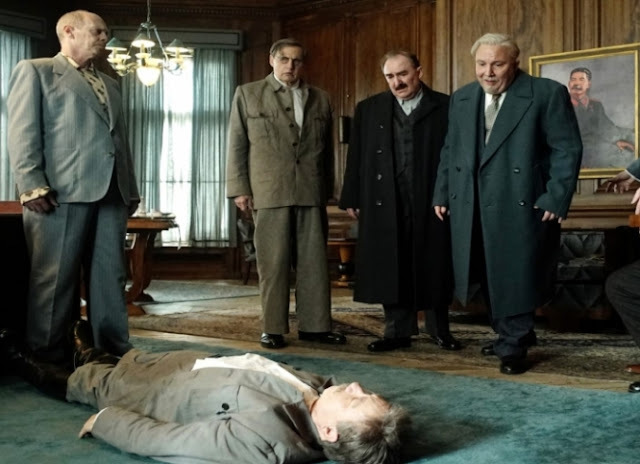 Algunos eran francamente ridículos –Lavrenti Beria, interpretado en The Death of Stalin por Simon Russell- pero no por ello menos sanguinarios, otros eran meros burócratas grises sin relevancia alguna como Georgy Malenkov (interpretado por Jeffrey Tambor), eternos protegidos por Stalin (caso de Vycheslav Molotov, papel asumido en la película por Michael Palin), enérgicos pero toscos militares como Kikita Sergievicht Krushchev (Steve Buscemi) o enérgicos y ultrapluricondecorados como Georgy Zhukov (Jason Isaacs). Si, mientras vivió Stalin todos vivían en aparente armonía comiendo los mendrugos que les arrojaba desde su mesa, al faltar el “padrecito”, aquello se convirtió en un verdadero vodevil de codazos, golpes bajos, iniciativas ventajistas de unos o de otros, que finalmente, se resolvió en un primer tiempo a favor del grisáceo Malenkov y, tras su etapa de transición, a favor de Krushchev. Esta película nos cuenta todos los particulares de los días en los que Stalin falleció, y como fueron sus funerales de Estado. La película gustó a la crítica y fue denostada por Rusia que la tacho de “provocación”. Su estreno ha sido, desde luego inoportuno porque precede en pocas semanas a las elecciones presidenciales del 18 de marzo en las que Vladimir Putin buscará la reelección. Lejos están los tiempos en los que se consideraba a Stalin como un “dictador sanguinario” (desde la época de la “desestalinización” operada precisamente por Krushchev). Su imagen tiende a mejorar, mientras que, paralelamente, en Occidente, sus opositores durante la Guerra Fría (Roosevelt y especialmente Churchill) se redimensionan a la figura de villanos. 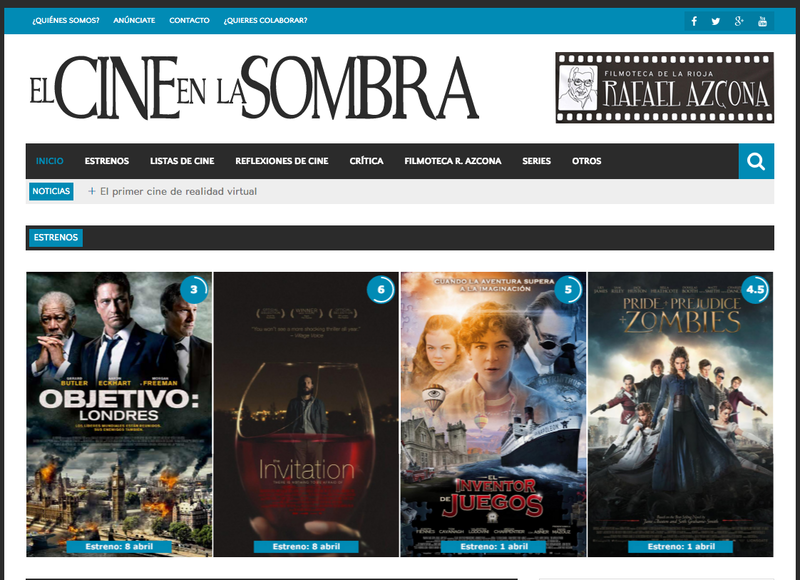 Lo cierto es que la película ha sido prohibida en territorio soviético y no como censura, sino por ser parcial y burlarse del pasado soviético del país. O, al menos, eso es lo que ha declarado el ministro de cultura de aquel país. Ciertamente, la película tiene unos cuantos elementos históricos (el hecho de que en los funerales de Stalin muriera un número indeterminado de gente, aunque en la película se considera que estas muertes se debieron a las luchas de poder de los distintos exponentes de la dirección bolchevique, cuando en realidad, fueron producto de la histeria popular por la desaparición del “padrecito” y la sensación de indefensión ante el peligro de una guerra nuclear. Así pues, es cierto que, en lo que se refiere a la fidelidad histórica de la cinta, es mínima. El propio director ha tenido que reconocer que los diálogos son inventados y que se ha priorizado su dimensión de comedia, mucho más que el rigor histórico. Esto no es nuevo en la carrera de Armando Iannucci quien ya mostró sus dotes para aprovechar determinadas coyunturas históricas para desviarlas y convertirlas en comedias. Así lo hizo en In the Loop, volvió a intentarlo con peor fortuna en la serie de TV Veep y ahora ha vuelto a intentarlo, sin que le haya acompañado completamente la suerte. En primer lugar, las caracterizaciones son casi ridículas. No tienen absolutamente nada ver, ni siquiera remotamente con las características físicas de los personajes. Buscemi, a pesar de sus cualidades, no logra hacer olvidar la interpretación que hizo Bob Hoskins del mismo personaje, Nikita Krushchev, en Enemigo a las puertas (2001). Quizás el que está más en su papel Jeffrey Tambor en su papel de Malenkov, acaso porque aparece poco en la trama. También es fácil reconocer a Rupert Friend (Homeland), como hijo de Stalin. Si de lo que se trataba en esta película era de hacer reír, el tema elegido, una muerte, los incidentes que se produjeron en los funerales y la lucha por el poder, el tema es demasiado siniestro y sórdido para resultar el más adecuado (quizás hubiera sido más interesante centrarse en el episodio en el que Krushchev golpeó la mesa de las Naciones Unidas con su zapato, o sobre las botellas de vodka que Stalin regaló a Churchill (personaje de moda en curso de desmitificación cinematográfica en los últimos años) al iniciarse la Conferencia de Yalta que decidió el destino de Europa y que tuvo a un premier británico prácticamente fuera de juego en las reuniones (el otro interlocutor era Roosevelt, un viejales al que le quedaban pocas semanas de vida y tampoco se enteraba de gran cosa). Pero la muerte de Stalin, especialmente por el dolor que causó la muerte (por estampida) de un alto número de personas (acaso varios cientos), no parece el mejor lugar de referencia para una comedia. 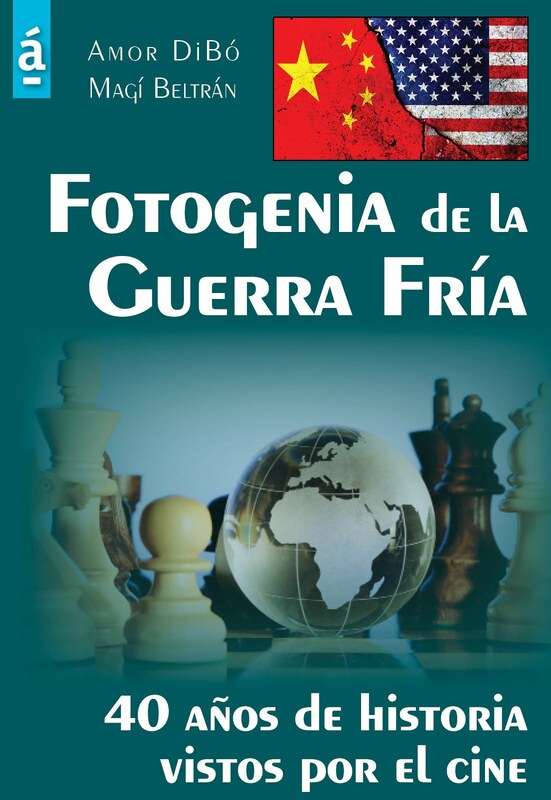 Además, la película es inoportuna: aparece en un momento en el que da la sensación de que la Guerra Fría que ensombreció Europa entre 1948 y 1989, vuelve otra vez a planear, especialmente a raíz de los desencuentros entre Rusia y EEUU en Oriente Medio. Ahora, cuando se trata de establecer vínculos y puentes, especialmente entre Europa y Rusia, ahora, precisamente, aparece esta producción europea que tiende a todo lo contrario. La película tiene momentos y calidades variables. El cuadro de actores es, desde luego, insuperable, aunque ninguno de ellos tenga el más mínimo parecido con los personajes que encarnan. Los diálogos son cáusticos, con algunos giros que, efectivamente, logran llevarnos a la sonrisa. ¿Lo peor de la película? La trampa que nos plantea: no es historia, es cine. Es decir, ficción. La base histórica está reducida –vale la pena no olvidarlo- a la mínima expresión.